Tue., Dec. 22, 2015, 11:51 a.m.
SPORTSMAN ACCESS -- More evidence is coming out of Montana this week to shed light on Ducks Unlimited's controversial decision to dump a long-time DU magazine columnist in order to protect a rich donor who's fighting the state's stream access laws. James Cox Kennedy of Atlanta, board chairman of media giant Cox Enterprises, donated $100,000 to a secretive conservative group that's accused this week of breaking Montana's campaign finance laws to influence the 2012 elections. Kennedy owns property along eight miles of the Ruby River and has been involved in a long-running litigation against public access, which has already gone to the Supreme Court once and may find its way back there. Kennedy and others contributed to the issue-advocacy group, Montana Growth Network, which financed ads supporting the winner of the 2012 state Supreme Court election and opposing the two other candidates, according to an Associated Press report. The biggest checks came from the U.S. Chamber of Commerce and Charles Schwab of Charles Schwab Corp., each of whom gave $200,000. Schwab also is involved in challenging Montana's stream access laws, which sportsmen consider vital to preserving their right to reach public waters as wealthy people continue to buy and lock up choice properties. What's really sick is that while these richies are buying votes and court decisions to secure more than their share of heaven in the West, they're also apparently buying the favor of conservation groups that sportsmen consider to be on their side. 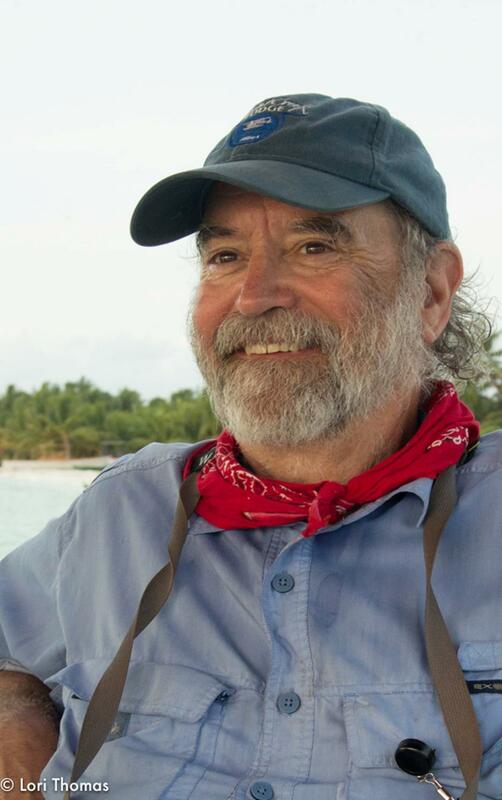 Ducks Unlimited dismissed columnist Don Thomas (pictured) in November because he put the spotlight on Kennedy's mission to bar public access to a public stream. Thomas, a sportsman who lives in Lewistown, Montana, wasn't even writing in the DU magazine. DU officials acknowledge that, but said they wouldn't tolerate criticism within the DU "family." In October, Thomas wrote a piece for Outside Bozeman magazine, A Rift Runs Through It, about the long Montana legal battle to secure and maintain public access to the Ruby, a southwestern Montana tributary to the Beaverhead River. Thomas pointed out how Kennedy had engaged in extensive litigation to prevent legal public access, only to be denied repeatedly in court due to the efforts of the Montana Public Land and Water Access Association. "While the article was not complimentary to Kennedy, no one has challenged the accuracy of the reporting," Thomas said. Following is the full AP story published today that challenges the integrity of Kennedy. If Commissioner of Political Practices Jonathan Motl and the AP writers are members of Ducks Unlimited, they might be getting their butts kicked out of "the family." HELENA — Donors to a secretive conservative group accused of breaking Montana's campaign laws to influence the 2012 elections include a media mogul, a famous investment broker and leaders of the energy industry, according to records released Monday by the state. The Montana Growth Network run by former state Sen. Jason Priest was registered as a tax-exempt, issue-advocacy group not required to report its spending or donors. However, Commissioner of Political Practices Jonathan Motl said the group was required to disclose its spending and donors because of its ads supporting the winner of the 2012 state Supreme Court election, former District Judge Laurie McKinnon, and opposing the two other candidates. In his investigation, Motl subpoenaed the organization's bank records and found 14 donors gave a total of $978,000 between 2011 and 2013. 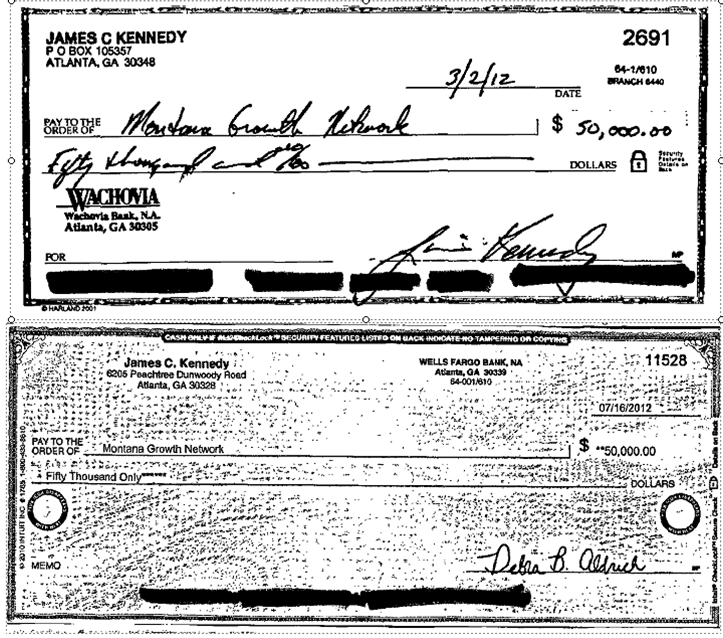 The donors to so-called dark money groups are rarely made public, but the commissioner released copies of the donation checks as part of a public-records request by The Associated Press and other news organizations. The checks were so few and so large that donors had to support the Montana Growth Network's election efforts, Motl said in his report, though he has not determined how much was spent on issues and how much on candidate advocacy. "I never got past the fact that it was so few people giving so much money in a Supreme Court race in Montana," Motl told the AP. "To have this amount of money spent in a judicial race is pretty stunning." Neither Priest nor another official with the Montana Growth Network, Chris Gallus, returned calls for comment. The biggest checks came from the U.S. Chamber of Commerce and Charles Schwab of Charles Schwab Corp., each of whom gave $200,000. James Cox Kennedy, board chairman of media giant Cox Enterprises, donated $100,000. Kennedy owns property along eight miles of the Ruby River and has been involved in a long-running litigation against public access, which has already gone to the Supreme Court once and may find its way back there. Kennedy was recently in the news after Ducks Unlimited fired longtime columnist Donnall Thomas after Thomas criticized Kennedy's anti-access stance. Kennedy is a former DU board member and significant donor. Schwab and investor Kenneth Siebel, who gave $8,000, also were involved in lawsuits challenging aspects of Montana’s stream access law. An organization called Fair Oaks Financial, based in Hamilton, gave another $100,000. The company is no longer registered on the Montana Secretary of State's website, but a Missoula Independent article from 2012 reported Schwab was Fair Oaks Finance's principal agent. Donations from energy industry companies and leaders include $25,000 from Boich Companies, a co-owner in Signal Peak Energy; $75,000 from Continental Resources Inc., an oil company working in the Bakken fields; and $50,000 from the head of Slawson Companies in Colorado. Other industry donors include Shale Exploration of Texas, Retamco Operating Inc. of Red Lodge, Frank Haughton of Billings and Great Northern Properties Limited Partnership of West Virginia. David Dornsife, head of the steel company Herrick Corp., gave $90,000 and an individual named Matthew Woodhead of Reno, Nev., gave $50,000. The Montana Growth Network billed itself as a group that championed conservative causes to help like-minded candidates. It operated only during the 2012 election cycle. Three people filed complaints with the commissioner's office alleging that the group engaged in unreported campaign activity. Motl found that the group made campaign expenditures that it tried to pass off as issue ads not requiring disclosure, but in reality expressly advocated for or against candidates. Motl has forwarded his findings to a prosecutor for potential charges. If the prosecutor declines to pursue the case, Motl can negotiate a settlement or file a civil complaint in court.